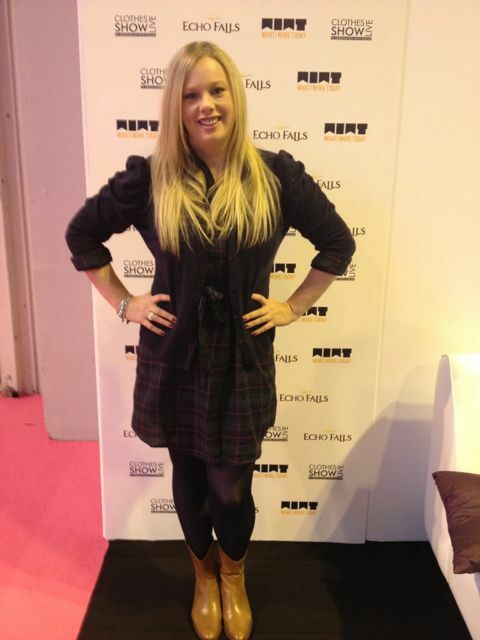 I spent the today at Clothes Show Live as a guest of Echo Falls. I gave two styling presentations, met Mark Fast & Grace Woodward and had a lovely time! If you're heading to Clothes Show Live this weekend be sure to check out the Echo Falls bar area for a great spot to rest your tired feet. Grab a glass of wine, pull up a chair and see some fantastic celebrity interviews and blogger presentations, including a talk on Holiday Season styling by yours truly!